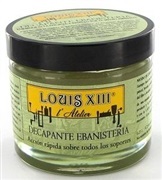 Product to care for Silver, Gold, Vermeil. To care for, clean without any risk of scratching and add shine, thanks to an abrasive grain similar to toothpaste. Traditional product to clean and give incomparable shime to Copper, Brass, Bronze, Aluminium, Chrome...thanks to the particularly fine natural fillers it contains. Cleans, renovates and protects aluminium against oxidation. 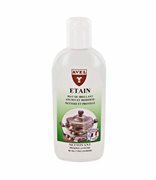 Cleans and protects antique or modern matt or shiny pewter. Non-abrasive and non-corrosive, preserves the sheen. Odourless. No dirty hands. 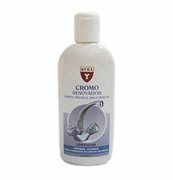 Especial Cromo Avel 250ml limpia y protege de la oxidación las superficies cromadas. 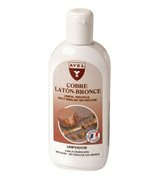 Cleans, protects and shines copper, brass and bronze without needing to rub. Water-proofing treatment guaranteeing long-lasting shine. Waterproofing Special Textile Anti-Stain Avel, protects and prevents stains on fabrics. 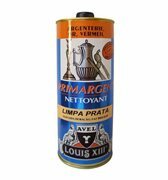 Dissolves and eliminates greasy stains on tiled or parquets floors with help of "Terre de Sommieres Avel"
The "Stripper Cabinet Louis XIII" is an ecological semi-fluid stripper. It is a product that is highly appreciated by restaurateurs because it does not stain, it does not blacken or damage the support. Exceptional shine and resistance up to 10 months. Lightweight application for a non-slip waxed look.